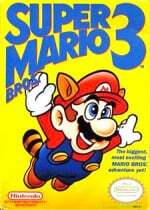 Did You Know Gaming has provided us with insight into a wide variety of topics throughout the Nintendo universe. Did we ever expect them to be juxtaposing Super Paper Mario with artistic depictions of ancient demons? No, but we suppose there's a first time for everything. This latest installment of the video series takes a look at some of the potential inspirations that pieces of various religions might have had with characters and artistic design in different Mario products. 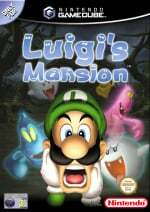 These include games such as Super Mario Bros. 3 and Luigi's Mansion, as well as a comic where a demon turns Peach into a zombie. You could say this video falls a bit more toward the eccentric side of DYKG's corral, but if you ever wanted to hear Wario yell, "Oh my God!" then it's definitely one for you. Woah... that was a bit... difficult to watch, really. "There is a high tower in SMB3 which goes up to the sky. This might be a reference to a religious work in which there is a tower which goes up to heaven". And the final section about a spoof-article which got taken up by the mainstream press has absolutely no connection to the actual content of a video game, and doesn't even have anything to do with religion. The fact that a religious website got annoyed about some other random website stating Mario and Luigi were gay lovers is neither here nor there. I've got a feeling they just stuck that bit in just to stoke controversy. Religion? That can result in some very heated debates. Now here's an idea - which results in the more heated debates, religion or politics? ...What did the part about the gay article have to do with Religion? Let's just treat this as games and fantasy for entertainment purposes. @Maxz Totally agree 100% with that last paragraph about the inclusion of the spoof article. My sentiments exactly. @IceClimbers depends what in politics and religion you're discussing, I'm willing to say that Republican v. Democrat debates get more heated than protestant church vs baptist chich, on the contrary, however, Religion vs Atheism debated probably get more heated than "best president of all time" debates. "Did You Know Gaming Explores the art of making controversial click-bait videos on topics that are bound to make a ruckus"
People who believe stuff like that probably also took the SMB3 episode of AVGN seriously. The only one of these "whoa, check out these rad hidden video game meanings" vids that actually tought me something interesting was the one about the mythological japanese earthquake catfish in LttP. Most of this is just there to cause the comment section to go haywire. Protip: Never open the comment section of any video with "religion", "Jesus", or "The Eagles" in its title. It won't help improve your faith in humanity in the slightest. @Solid_Stannis Which Eagles to be exact? Religion equals culture. Culture influences our art and literature... And video games. Ooh lala. I've never expected to see these two words together ever. In my opinion, this was the weakest episode. It was less about facts but rather about "Ooh look! It's obviously a reference to Jesus!" kind of stuff. I like the channel, they can provide very interesting content, but this was beyond click baiting. Interesting, as always! But man, those guys go deep! It seems they have lots of time on their hands. @Einherjar I disagree, there were several videos about Mario or Zelda with interesting background infos. @Henmii I think you're getting the wrong idea, this is their job (hence the need to make videos about the most absurd topics), not their leisure activity. @Einherjar Yep, they made this video specifically to make people freak out. Not at all because they personally found the topic to be interesting and thought other people might find it to be interesting as well, especially for a free video that you don't HAVE to watch. Yup, gotta be the "click-bait" angle. The comments on this site are increasingly idiotic and disappointing, I have to say. Another Mario video? Can't you cover more of other series? Nothing against the video but I'm kinda sick of these specific topics. Yeah, not one of their finest videos that's for sure. It wasn't so much clickbait as it was filler, although the last bit was a bit chummy. DYKG sometimes ends up with thing that are more theory than actual trivia, but they don't typically do clickbaity videos like a certain theory channel. That was terribly put together and hardly themed. But at least they handled some sensitive stuff well, phew! 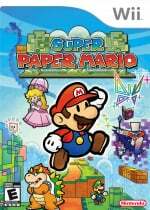 huh, interesting I guess about Mariio 3 and Dante's Lucifer making it into Super Paper Mario. Dry bones feels a bit of a stretch. Otherwise it's interesting what happens when you actually take the time to look up what names mean and where they come from / what they reference. @shani And they are the same people i ment With the high pitched Goomba guy. "Culture Shock" is the only subseries i genuinely enjoy to be honest. @CHET_SWINGLINE Uhm...you should pause your AdBlock once in a while buddy The video is monetized, thus, the more people click on it, the more revenue it makes. I would have personally titled this video "Mario and Mythology" instead, and leave off the bit about the spoof article calling the Bros gay. If this was posted on reddit, there would already be a huge unneeded debate going on that is unrelated to anything Nintendo. At least it's a bit better here. Let's stay off making fun of everyone else's faith and such and just take this thing in for entertainment if we are all capable of doing that. I thought the part about the dry bones was interesting. I was REALLY sad I could not play Mario RPG anymore. Then I grew up a bit, figured it was nonsense and finished the game - and eventually, left that church for a serious one. There are references to different faiths in various games. This video though, was just a little bit eye-rolly. I do enjoy watching DYKG. @Einherjar: Yeah, I used to like the "theories" series, but for some time, I really find it anymore, just not educating, & more nonsensical. I, like you, only really watch the "Culture" sub-series. Even that, I don't watch too much, either. @Capt_N Yup, same here. Some of the theorists stuff can genuinly be interesting. Like the recent interview with the military armor guy, judging if Halos Spartan suit would actually work. But all these "Is character X really Y ?" stuff is just annoying. I enjoyed the video (except for the unrelated gay part). I bet there are lots of influences Nintendo game creators draw from. Mario games have always been good guys versus bad, and I do not think this video suggests otherwise. Some of the baddies were clearly based upon entities in a range of religious mythologies, and the video didn't have to reach to make those connections. That 49 days part was a really cool tidbit. A good lesson for aspiring game designers about how they can draw from different influences in character creation, even religion (and how to do so without making your game a Wisdom Tree title). I assume they are gaming-fans, hence they make those movies. But they need to read lots of books, watch paintings, do research, etc to make those movies. This takes a lot of time. I don't know if they earn money with it, I think they do it for fun. @Henmii Looking at the data, I think they definitely earn money with it. 1.864.062 subscribers and that video about religion alone got ~ 600.000 clicks. They make at least one video per week, usually several videos per week. And DYKG gets a decent amount of promotion, too, which suggests that they are successful and make money with it (otherwise Youtube wouldn't promote them so much). And who has got that much time to do a full job + several videos a week (which means a lot of research) anyway? No, I'm pretty sure this is their main job now. @Einherjar Yep, good job on knowing about ads, guy. The problem with your half-baked theory is that any channel with as many subscribers and regular viewers as this one would generally make it a high priority to make consistently good and compelling content so their viewers will keep coming back and generating that ad revenue. It should go without saying that this channel would want to avoid irritating their regular viewers by hastily slapping together a bunch of shoddy "click-bait" videos that people end up hating and resenting the channel for, as that would obviously lead to lost viewers. Just because you have a personal distaste for the topic of this video doesn't mean that the people that made it didn't find it genuinely interesting or potentially compelling to their viewers. @CHET_SWINGLINE You havent seen many "popular" YouTube Videos / Channels, havent you ? A large audience isnt always a sign of quality content. In the case of YouTube i would even go so far and say that the opposite is the far more profitable route to take. Large, regular audience through quality, well researched videos is a real rarity, especially in terms of gaming channels. And you wouldnt believe how effective clickbait can be. I mean, just look at general gaming media outlets. Clickbait is their sole Modus Operandi. Its no rarity, controversy sells, big time. And there is no such thing as bad PR. The ones who love it stick to the channel, the ones who hate it will watch the next video just to rant about it again. Just take some of the most well known "Pop Culture Critics" out there, who havent made a single valid point in their work since they started. Well known, (in)famous, rich. Throwing BS into the room and watching your audience and critics tear each other apart is a valid business model. And thats the beaty of "Clickbait". To know that it is clickbait means you already produced revenue. To criticise it means you already produced revenue. To express your opinion about them means your spreading awareness and widening their reach. To keep up to date with their antics, you have to follow what they are doing by watching the videos, expressing your opinion etc. On the internet, you can turn sh*t into gold pretty easily.